Professor Tribunella has served as an auditor for two national firms, Deloitte & Touche and PricewaterhouseCoopers LLP. At those firms, she served clients in the health care industry as well as midsized firms. Tribunella, also a New York State Certified Public Ac­count­ant, spent over five years in industry as a manager of financial reporting for two different health care companies. Tribunella teaches several courses in introductory accounting, as well as tax acounting, healthcare cost accounting and professional accounting research and intermediate accounting. 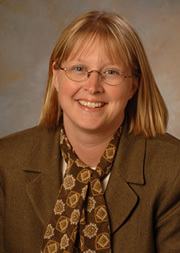 Tribunella has an interest in accounting and auditing research and has published articles with in the CPA Journal, the Journal of Business and Economics Research, theJournal of College Teaching and Learning, The Review of Business Information Systems, and the Accounting Information Systems Educator Journal. The Fraud Psychology Matrix: Mapping Psychological Theories to the Fraud Triangle"